Every so often, an opportunity to travel for work comes up. I love taking the opportunity to go to places I normally wouldn’t go on my own but hate leaving my family home for several days at a time. The most recent work trip was six days in Los Angeles. I had never been to LA before so I was somewhat excited about this one. We got into Los Angeles at about 6:30 local time. By the time we got our luggage, our car and got to our hotel in downtown LA, it was a little after 8:30. Neither my coworker or I had eaten as we made our way through the airports so we wanted to find something once we got settled in our rooms. Wouldn’t you know it. I’m in LA two hours and I found a brewery. It’s like I have a “Brew-Dar” or something. 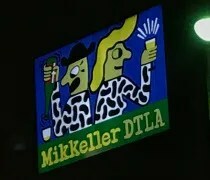 Mikkeller DTLA is one of two West Coast bars for the dutch based brewery Mikkeller. 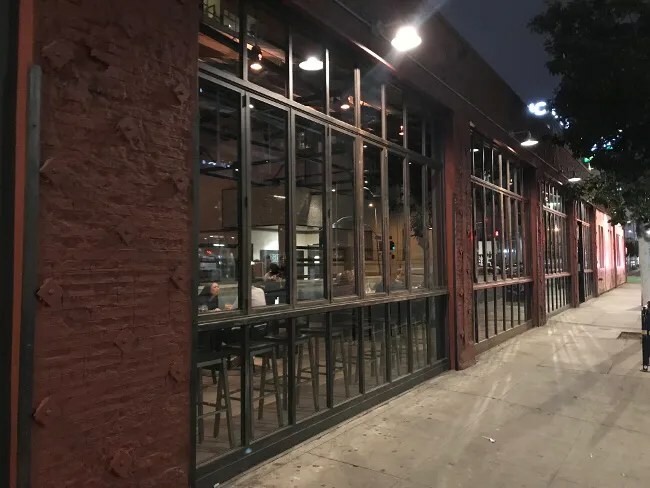 The US-based brewery operation is in San Diego while there is another bar as well as a tasting room and bottle shop in San Francisco. 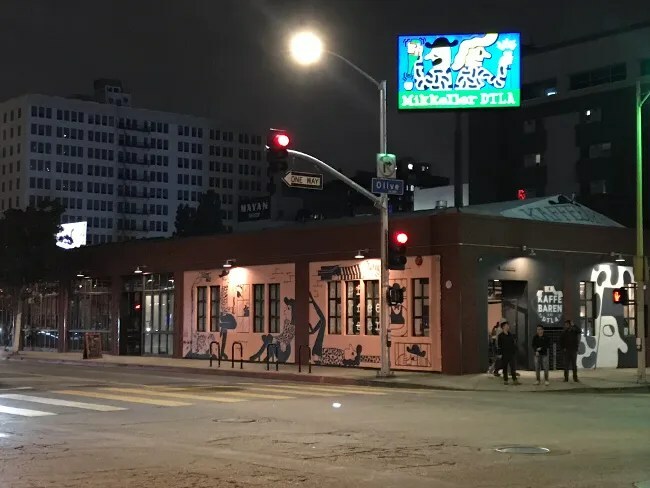 Mikkeller DTLA is on Olympic Boulevard in downtown Los Angeles at the corner of South Olive Street in a building that used to be a Discount Tire Center. 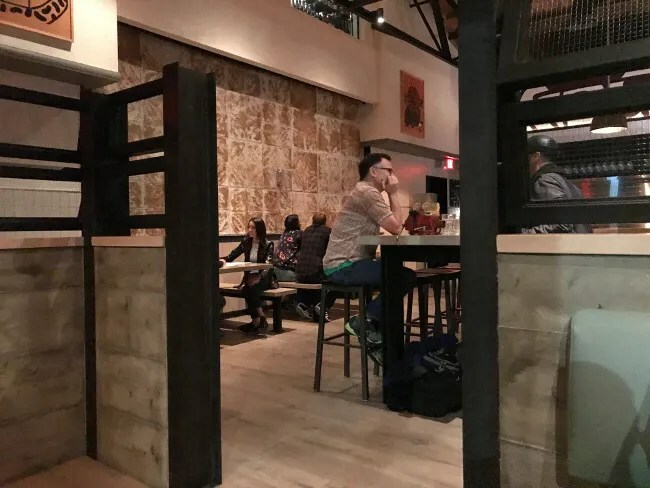 The building was gutted when they turned it into a bar. They took the old garage doors and closed them in with glass. They now provide a lot of natural light during the day and a spot to sit at a bar and look out over the busy road as you enjoy a drink. We stopped in for dinner just before 9:00 on a Tuesday night. The bar was busy but there were still open tables. At sign at the entrance said to seat yourself so that’s what we did. We ended up taking a table for two in the smaller dining room. This was one of those areas where they pack in the two tops and use a common bench for seating on one side. There were only a couple of other parties using this area so there was a couple of tables in between us and the next table being used which helps the comfort level. The other option would have been for us to sit in the bar area. There is a nice big bar in the back of the restaurant with 50 taps. Some of those are Mikkeller’s own beers while others are just great craft beers from around the world. 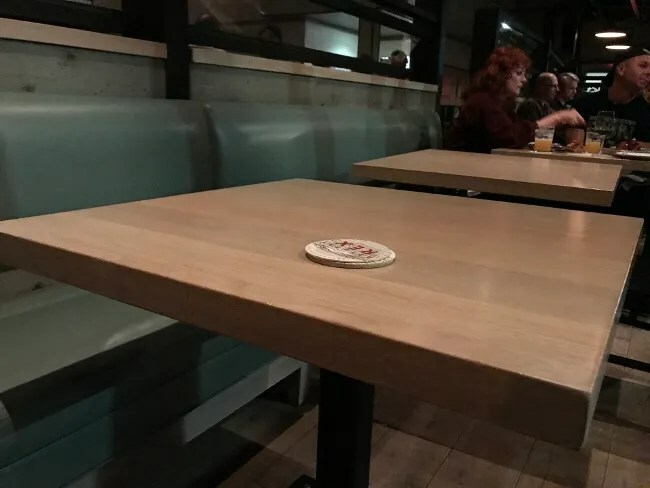 The seating in this area is mostly style pub tables. There were open seats where we could have comfortably sat away from people had we chose this area. There are also a couple of smaller four tops along the other wall but all of those were taken. Let’s talk about the beer at Mikkeller. I’ve actually had some before as it’s becoming pretty readily available in Michigan. Mikkeller is based in Denmark but they don’t actually have their own brewery. They use host facilities around the world to make their recipes. 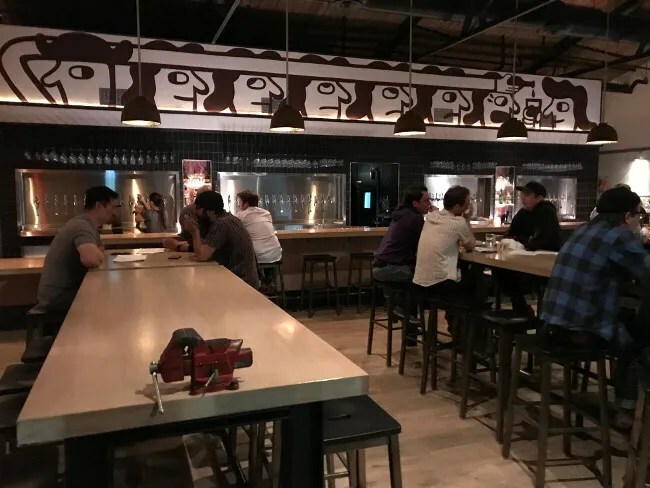 In the United States, all of the brewing is done in San Diego in an old AleSmith brewery right now although there is a New York brewery in the works. I was really craving something refreshing so I stuck with an IPA. I ordered the Windy Hill IPA. It’s a New England style IPA that’s a little citrus-y and was just the refreshing beer I was looking for. There were so many beers on tap, including Beer Geek Breakfast and Beer Geek Brunch that I wanted to try but just didn’t sound good at that particular moment. I passed on the burger for dinner because there was something that sounded even better. I picked the Brisket Sandwich instead. 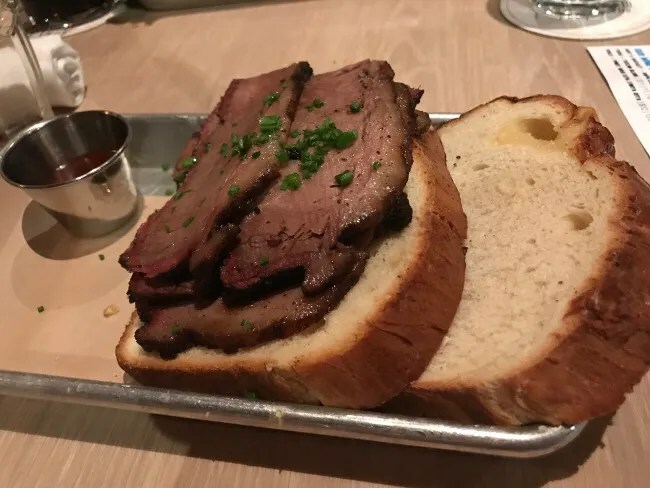 This sandwich is house smoked brisket served on toasted cheddar bread with a pickled serrano pepper and barbecue sauce. The brisket was super tender and had a great smokey flavor. It actually tasted like it came out of a Texas style BBQ restaurant and not an upscale pub in the middle of downtown Los Angeles. I passed on putting the BBQ sauce on the sandwich because the meat was so good on it’s own. The cheddar bread was nice and hearty so it held up to the weight and juices that leaked from the meat. All of the entrees at Mikkeller DTLA are served a la carte, so I also added on a side of Pommes Frites. 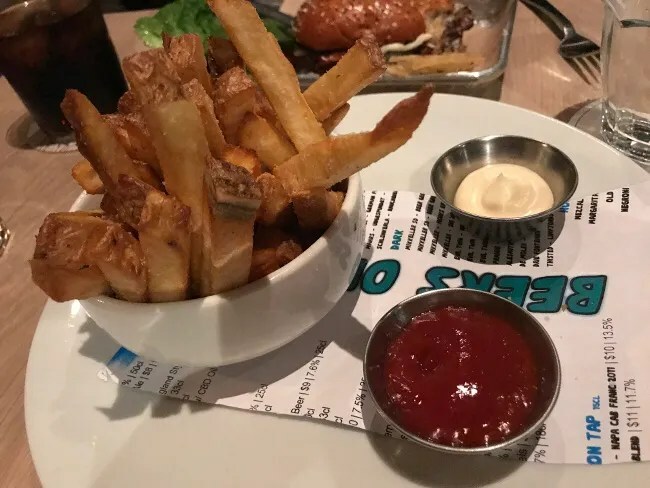 These skin-on fresh cut fries are served with coarse sea salt and small bowls of ketchup and mayonnaise to dip them in. The serving size is actually big enough for the table so my co-worker and I just shared them. Neither of us wanted a whole order and the meals with the split fries was a perfect portion size. My colleague order the Burger and a Cola so for the two of us, our bill came in just a little over $50 before tip. I’ve always had pretty good luck with Mikkeller’s beers so I was pretty excited to see the restaurant was in walking distance of our hotel. The beer was delicious as was the food. 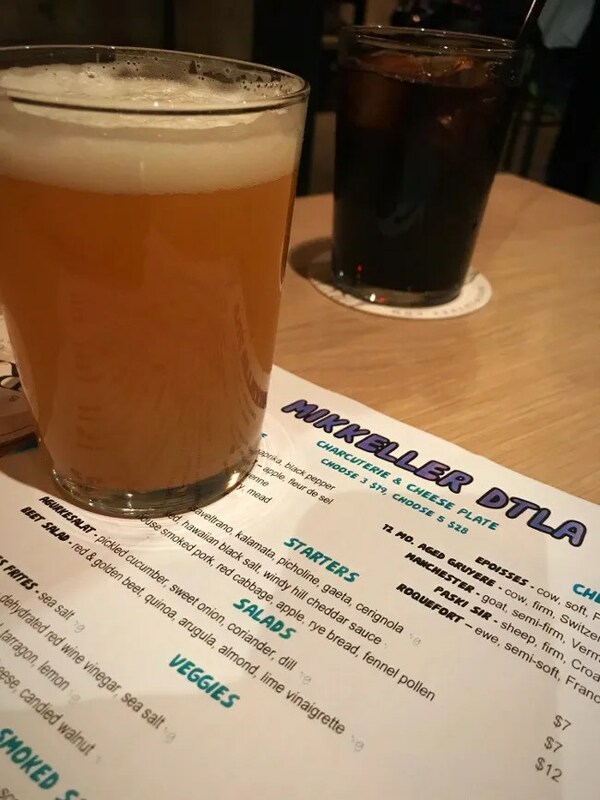 Mikkeller DTLA has a really cool vibe in a real up and coming area of downtown. It’s a little bit of a walk from the main entertainment venues but not so far that it’s not an option. We had a long travel day and were just looking for a solid meal. We got that an more at Mikkeller DTLA.